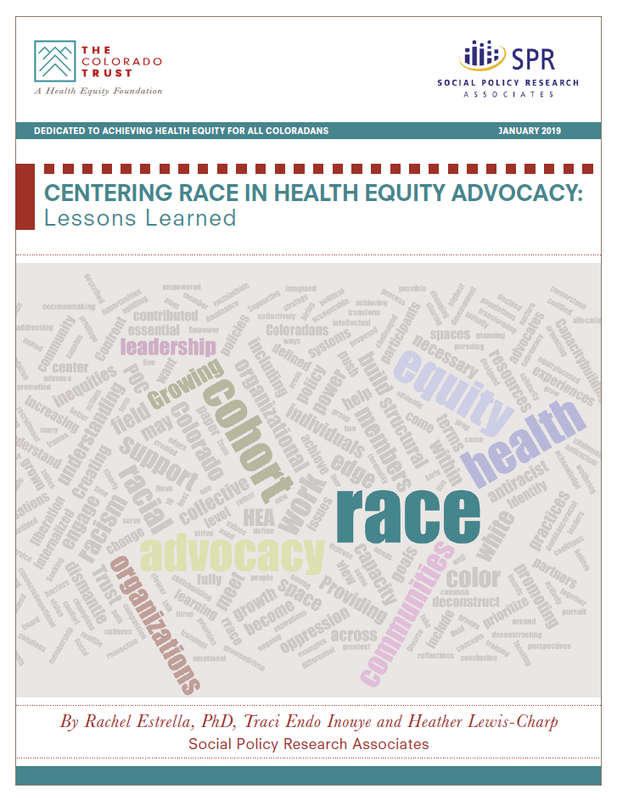 SPR is proud to share this newly published learning paper on the work of The Colorado Trust’s Health Equity Advocacy grantees, which discusses how the decision to center race in health equity advocacy came about; describes the framework and strategies that the HEA Cohort’s Racial Equity Team used to build racial equity capacity; and presents results on the progress that has been made. It also includes recommendations for others who may be interested in centering race in social change efforts. The HEA Cohort has much wisdom to offer regarding how to build the racial equity capacity of individuals and organizations promoting health equity in both urban and rural contexts. We invite you to share in our learnings by reading this paper, which is also available in Spanish.